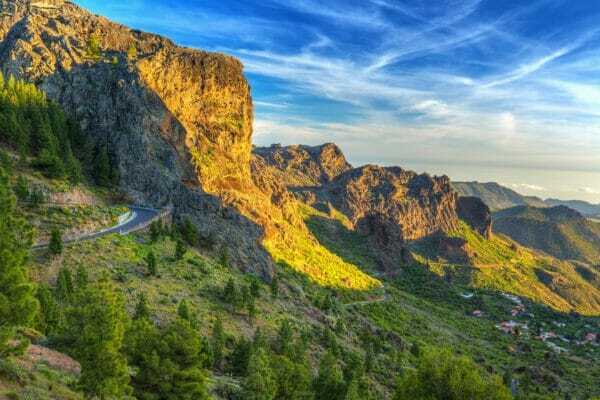 Located 100 km west of Morrocco, Gran Canaria is perfectly situated for cycling over the ‘off-season’. With an average year-round temperature of 24 degrees, Gran Canaria offers a mild climate & magnificent, quiet training roads. Gran Canaria is packed with varied landscapes & micro-climates, and a third of the island is protected as a UNESCO biosphere reserve. We offer two scheduled Gran Canaria Ride Camps every year, as well as bespoke tours on request for groups. Tell us what you’re looking for and we’ll do the rest. A true Gran Canarian climb this is a beast that will push any rider to their limits but provide reward in equal measure with constantly changing, spectacular vistas. The climb starts with grades of 25% and this sets the tone for the challenge ahead. 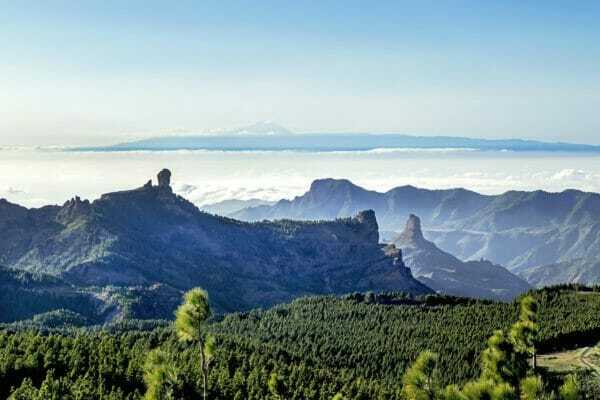 The highest point on the island, Pico de las Nieves is a spectcular 44 kms from its base in Maspalomas. Don’t be fooled by the average gradient of 4.7% – there are several downhill sections, meaning when the road points uphill its more like 7 or 8 %. The winds funneling down from the top of the island add to the challenge and watch out for the temperature dropping as you climb up to 2,000 m above sea level. If you can bear to raise your eyes from the road ahead, check out the 4.5 million year old Roque Nublo – the islands most familiar landmark. I had a terrific trip. Definitely the best organised cycle trip I’ve been on, in a beautiful part of the world.